Congressional Republicans have been flailing around in the last few days trying to both express concern over the Trump administration’s “zero tolerance” immigration policy while also making sure to avoid proposing any sort of actual change to enforcement efforts that are separating thousands of children from their families (well, except for Rep. Ken Buck, anyway). Democrats, meanwhile, are uniting behind legislative efforts to put a stop to the growing humanitarian crisis along the U.S.-Mexico border, but there’s not much they can effectively accomplish without the support of some Republican lawmakers. Congressman Mike Coffman (R-Aurora) popped up in several national stories on Monday after he released a statement indicating that he supported Senate Democratic efforts to stop Trump’s “zero tolerance” policy. This move surprised exactly no-one who has ever paid attention to Coffman; over his 30 years in elected office, Coffman has developed a well-deserved reputation for generally taking all sides of all issues at all times. But a new story today points out a particularly-egregious example of Coffman’s doublespeak on immigration. 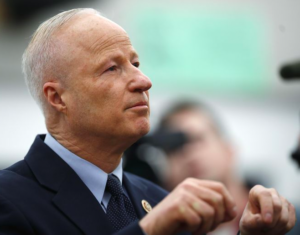 As CNN reports for the first time, Coffman quietly signed on to the Goodlatte bill on March 18; nine days later, Coffman voiced a request on the House floor to remove his name from the legislation. The reason this is important is because the Goodlatte bill was widely understood to be THE CONSERVATIVE OPTION for dealing with immigration reform. This, of course, is not at all consistent with Coffman’s attempts at forging a moderate image on immigration, let alone Coffman’s stated public support for offering undocumented immigrants a pathway to citizenship. A spokesman for Coffman said his initial support of the Goodlatte bill, which until now had not been reported, was his attempt to explore all options for an immigration fix. [Pols emphasis] The congressman withdrew his support, the spokesman added, once he realized the bill would not offer a permanent solution for hundreds of thousands of young undocumented immigrants known as DREAMers. 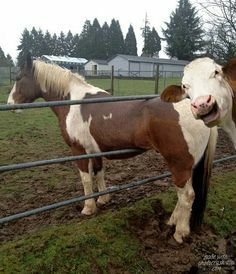 Mike Coffman demonstrates the proper hand position for riding the fence. But the Goodlatte bill never offered DREAMers permanent protection, raising questions as to why it took Coffman nine days to realize the bill did not meet one of his primary immigration objectives. [Pols emphasis] The bill, which was widely known at the time as the conservative option to ongoing debates over immigration, was also rolled out on January 10, 2018, months before Coffman decided to attach his name to the proposal. As part of that rollout, a one-page summary from House Judiciary provided on the bill made clear it would not offer a pathway to citizenship. A spokesperson for the progressive group “Organizing for Action” told CNN that if you don’t like where Coffman stands on immigration, “just wait a few days.” It’s not intellectually honest for Coffman to pretend this isn’t accurate. A very sharp teacher of mine once said "Those that always straddle the fence deserve to fall on both sides of it". Stay the course Congressman. All of them. You know, I disagreed with most of what he advocated but at least Roger Edwards had some convictions and principles. Mikey, not so much. There you go, Alva, poking the bear. Our resident naval gazer will be right along to lecture us with his voice of reason in this partisan hell-hole. My preemptive response to our pathetic piker: How can Coffman be two steps ahead of us when he can't even figure out which direction he's taking? How do you pass off this Nazi-esque policy as law when nobody enforced it this way until now and Beauregard and Lurch gleefully took full credit for it? Finally: CYNTHIA COFFMAN FOR GOVERNOR!!!! Mikey Coffman is meeting with Republicans and President right now, according to Meet the Press, where he claims that he will "bring up" family separation. But actions speak louder than words – Coffman votes with Trump 95% of the time. That's higher than Gardner's 91%. The headings for this "Tracking Congress" chart from 538.com are: name of representative, "trump score" (how often they vote with Trump), their district's "Trump 2016 margin", predicted Trump score, and difference between actual and predicted votes.